The Brecknock & Radnor Trail is a challenging seven day trail ride with long days in the saddle and interesting overnight stops. One of my personal all time favorite Freerein trails, this comes highly recommended. We all look forward to welcoming you on the Brecknock & Radnor Trail Ride . . . The Brecknock and Radnor Trail is a seven day trail ride staying overnight at three inns, one guest house and two B&Bs. It heads all the way up to the Teme Valley on the Shropshire border and then over to the Ithon Valley in remote Mid Wales then to Builth Wells, the Eppynt and Wye Valley. It is seven lengthy days in the saddle of 16-18 miles per day. On this trail riders can tour a wonderful hill with lots of tracks, canters and panoramic views known as Beacon Hill. This rarely visited and remote part of the Radnor Hills trail network is highly rated by staff and customers. 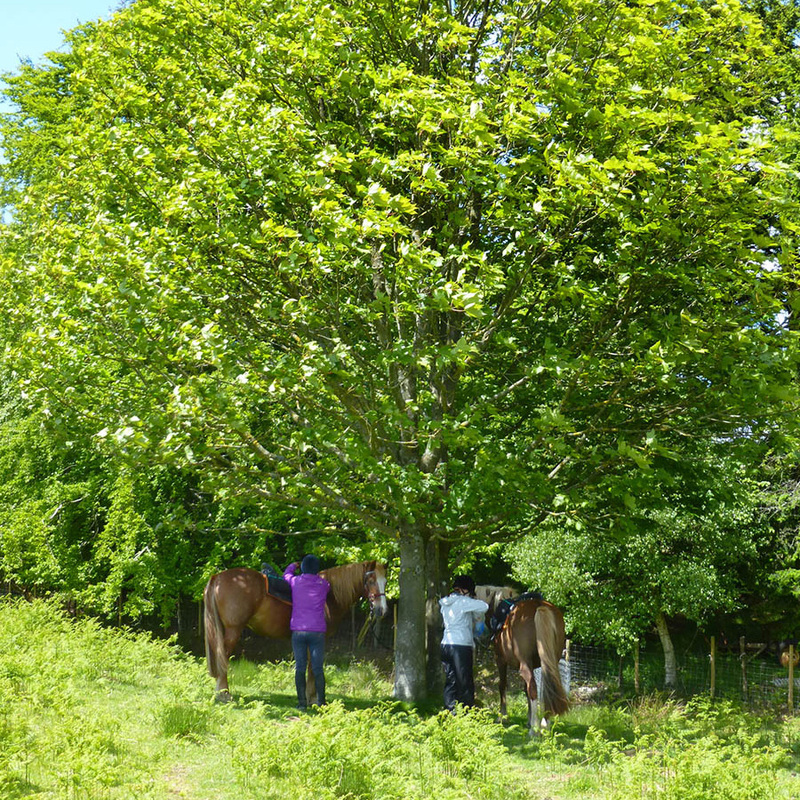 This trail ride is only available to riders with previous experience of at least one Self Guided trail rides with Freerein. 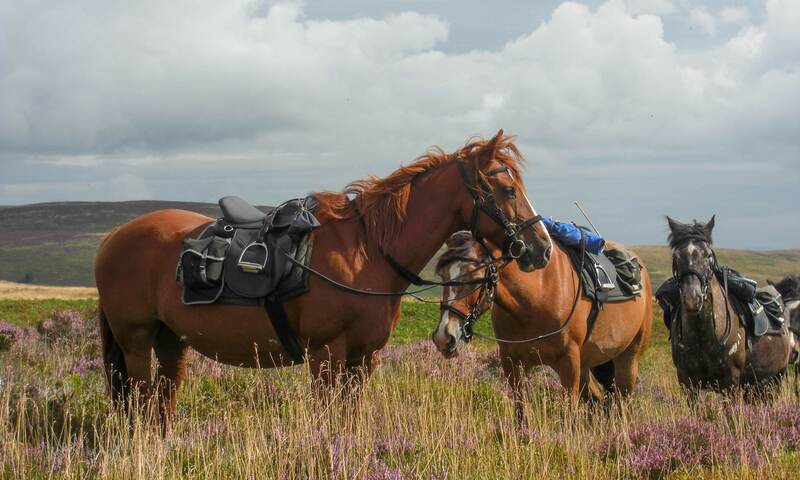 If you are considering committing to your first Self Guided trail you can view a selection of our suitable trails here: horse riding holidays. You’re more than welcome to book and come along if some of the members of your group have previously completed Self Guided Trails. Please don’t hesitate to get in touch with us if you’re still not sure. The first day’s ride will take you from Freerein HQ to Old Radnor via one of two routes. You can either take the swift option across the moors to stop at the Royal Oak for lunch, or alternatively bring a packed lunch and ride via Glascwm Hill and Black Yat to Old Radnor. Once at Old Radnor, you’ll stay the night at either the Bracken Ridge B&B or the Harp Inn. Day 2 packs in a lot of variety as you head over Bache Hill and then on to the Radnor Fforest. The route will then take you via Monaughty and across parts of Glyndwrs way leading eventually to Knucklas your second overnight accommodation at Belmont Cottages, a pretty B&B in the village. The Castle Inn is just a few minutes away and provides a great evening meal. Whilst at Belmont Cottages, your horses will relax on a farm around 10 minutes walk away. You’ll cover the entire length of Beacon Hill through to Llanbister on this fantastic third day. You come eventually to Abbeycwmhir and Laurel Bank guest house, your overnight stop the other side of the Ithon Valley. One of my personal favorite days on trail anywhere. Worth a visit in the village is The Happy Union Inn whose sign features a rotund gentleman riding a goat and sipping a mug of ale. From here on to Penybont and the Severn Arms Hotel, a possible lunch stop then over the edge of the Radnor Fforest to Red Lion Inn/Fforest Inn. From the Llanfihangel ride to Hundred House for lunch then more amazing hill over Aberedw and night in the market town of Builth Wells. Day seven sees you traverse the eastern edge of the Eppynt range to stay at either the Old Mill or Wye Knot Stop B&B. Finally cross the Wye Valley and trot over the Begwns to finish at Freerein HQ. Ride to Belmont Cottages at Knucklas. Ride Laurel Bank at Abbeycwmhir. Ride to Red Lion Inn/Fforest Inn. Ride to Builth Wells and stay at Bronwye B&B or Llanelwedd Arms. Ride over the Eppynt to Old Mill at Felin Fach. 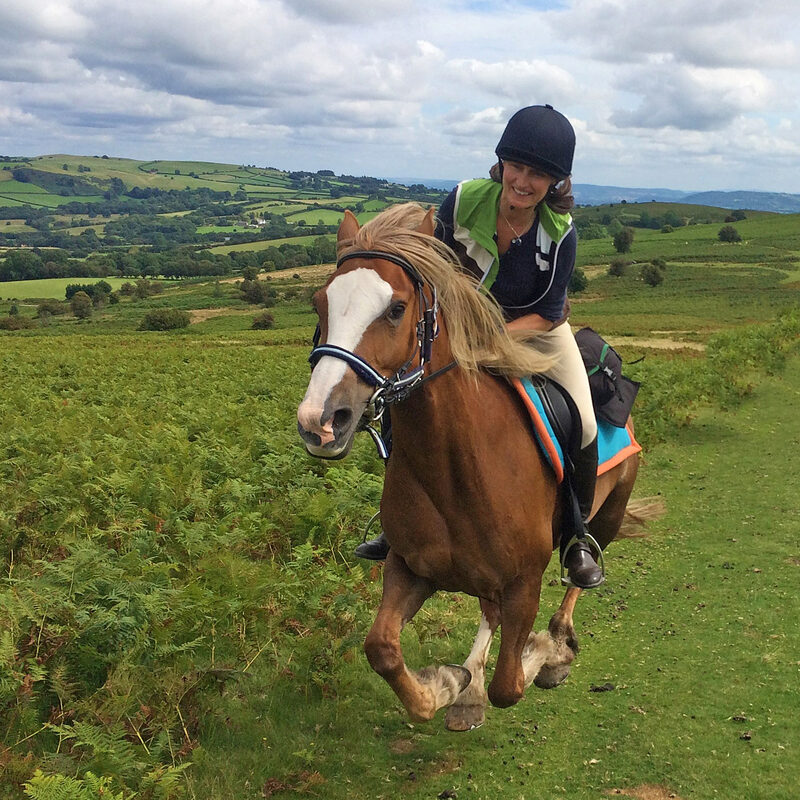 Explore all of the best scenery and trail riding routes in the old counties of Brecknock & Radnorshire . . .
Freerein Cariad loving a good canter track!